Separate, sealed bids will be received by Fairfield City School District until 10:00 AM, local time, on Wednesday, April 24, 2019, at the Office of the Treasurer, 4641 Bach Lane, Fairfield, Ohio, 45014, and will be publicly opened and read immediately thereafter for an Indefinite Quantity Contract for all labor, material, and/or services necessary for the 2019 Paving Improvements Project, as described in the Project Documents. Bids received after this time will be returned unopened. A copy of this notice is posted on the District's web site, www.fairfieldcityschools.com under Departments; click on Business Operations and Bidding Opportunities. This notice will be posted on the District’s web site for 2 weeks from date of posting. Said work will consist of: 2019 Paving Improvements at various Fairfield City School District facilities. Project Documents may be obtained by email scowden_t@fairfieldcityschools.com or contacting the Fairfield City School District Business Office at (513)858-7103. 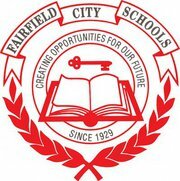 Questions regarding the scope of work may be directed to Jamie Bertke, Supervisor of Building and Grounds, bertke_j@fairfieldcityschools.com or (513)623-5469. Bids shall be submitted on the form furnished with each set of bid documents or on a typewritten copy of that form. Each bid shall be accompanied by a Bid Guarantee meeting requirements of Section 153.54 of the Ohio Revised Code. Said guarantee may be in the form of a bond (ORC 153.571) or a certified check, cashiers check, or letter of credit meeting requirements of 153.54. The Board of Education reserves the right to waive irregularities in bids, to accept or reject all or any bids, to accept or reject all or any parts of bids, and to conduct such investigation as necessary to determine bidder responsibility. No bids may be withdrawn for at least sixty (60) days after the scheduled closing time for receipt of bids.